The latest revelations about how the richest protect their wealth and minimise their tax burden tell us little but confirm a great deal. The information in the Paradise Papers show us a truly glittering pageant of celebrities using offshore tax havens, including fine upstanding members of the community, such as Queen Elizabeth II herself, Trump’s Commerce Secretary with shady friends in Russia, Wilbur Ross and, regrettably, the mostly admirable Prime Minister of Canada, Justin Trudeau. Why, it seems that even Bono, fine humanitarian and protector of the poor in the Third World, may have been benefitting from tax regulations that protect the rich of the Old World. Ironically, I read (in a piece from the Sunday Express, not the most reliable of sources, but this story has the ring of truth), that Bono’s own foundation was set to denounce the tax haven system until it realised that he was a beneficiary. Still, it isn’t these fine luminaries that interest me here, but just two specific individuals, for what they reveal of how our system works more generally. The first of these is Michael Ashcroft, Lord Ashcroft, former Deputy Chairman of the British Conservative Party and one of its main individual contributors. For many years, he held “non-domiciled” status in the UK, meaning he could live in the country without paying its taxes. When he was raised to the House of Lords, he pledged to give up that status and become a full UK resident, but failed to do so for ten years, when a change in the law would have forced him to give up his peerage otherwise. It now turns out that he’s a major tax haven investor. That saves a power of tax. Who needs non-dom status when you have tax havens you can take advantage of – and without even giving up your peerage? You might feel, and I’d tend to agree, that the law needs changing again, so that a member of the House of Lords can’t benefit from tax havens any more than from being non-domiciled in the UK.But let s see why that s not likely to happen. The use of a tax haven saves someone like Ashcroft a great deal of tax. That sets up a fine cycle of mutual benefit. With so much more money to play with, it’s easy for him to make contributions to his favoured political cause, in this case the Conservative Party. For the 2017 election campaign, he stumped up £500,000, which by British standards is a massive contribution to a political party. Now, isn’t that neat? Serious money for a political party. The party that happens to be in government. In government at least in part thanks to that money. Now, how much priority would you expect that government to set on changing the law to deal with the abuse of tax havens? The second person is something of a favourite of mine. Glencore is one of the world’s major commodities companies. The Paradise Papers reveal that Glencore “loaned” £45m to a shady Israeli businessman, on the basis that it would be repaid if they failed to win a lucrative deal in the blood-soaked, deeply corrupt so-called Democratic Republic of the Congo. Nothing illegal seems to have happened, but that only highlights the weakness of the law. It may have been legal, but there was nothing edifying about this transaction. So how about this favourite character of mine? He wasn’t with Glencore at the time, but he is now. He’s the company’s non-executive chairman. His name is Anthony (Tony) Hayward. Not a name to conjure with, you may feel, and I’d agree though I have mentioned him before. If you’ve heard of him at all, it’s likely to have been in the context of the Deepwater Horizon disaster in the Gulf of Mexico, when an oil exploration platform caught fire and the ensuing oil spill polluted vast swaths of the Gulf. 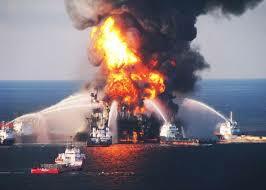 The oil rig belonged to BP. And the Chief Executive of the time? Why, Tony Hayward. We're sorry for the massive disruption it's caused their lives. There's no one who wants this over more than I do. I would like my life back. I’m sure he wanted all that unpleasantness over. As I’m sure that the millions whose lives or livelihoods were affected by the oil spill, to different degrees but seldom positively, couldn’t have given a flying curse for how much he wanted his life back. Now just as the tax haven issue proves how little consideration of integrity or any kind of principle drives our governments, the Tony Hayward story reveals how little high business office owes to competence or even basic humanity. The colossal remuneration these people receive is often justified as being a reflection of the responsibility they accept. 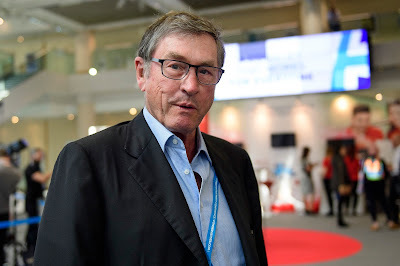 But far from being driven into the outer darkness where there is wailing and gnashing of teeth, Hayward simply stepped from BP into a series of lucrative and comfortable directorships, including at Glencore. He wasn’t with Glencore at the time of the Congo deal. But still, it’s interesting that it was a company with as savoury a reputation as Glencore that offered him its non-executive chairmanship. And that a man with his track record accepted it. Might that be just a coincidence? Speaking for myself, I doubt it. Austerity buried? And the NHS too? Strand cigarettes: an object lesson for Labour?